The One Nineteen kitchens are Europe-inspired. Image courtesy of One Nineteen. This rendering shows what the finished Austin campus of University of St. Augustine will look like when its third building is completed this spring. The sales office for the One Nineteen condominiums opens April 4. That day, only reservations made in person at the office will be accepted. The office is located next door to the One Nineteen site in the John Alden Building (once the Langrois Building), 117 S. 10th Street at Main Street. Tenants hoping for a spot in the condos, which are expected to be ready in a year, must get a letter of pre-qualification from Zions Bank and make a reservation deposit of 1 percent of the purchase price, said Bryant Forrester, the Century 21 Magellan real estate agent representing One Nineteen. One Nineteen is a planned 31-unit condo complex at Grove and 10th streets with two levels of parking and storage big enough for a kayak. Most condos fall between 1,176 and 1,504 square feet, with prices from $384,750 to $516,000.The top floor penthouse has five condos closer to 2,000 square feet, with price points either side of $800,000. “We have created open floor plans, tall ceilings and light-filled spaces,” Forrester said. A groundbreaking is set for 3 p.m. April 2, followed by a ribbon-cutting and reception. One Nineteen is a joint venture between Sawtooth Development Group, based in Ketchum, and Prospect Medical Solutions of San Diego. Boise-based CSDI Construction will build One Nineteen, which was designed by the Boise architecture firm CSHQA. Construction start concurrent with the ceremonies, with completion expected in spring 2016, Forrester said. The University of St. Augustine has broken ground on a multi-million dollar wellness and therapy center that is the third and final building of its expanded Southwest Austin campus. The 10,000-square-foot building is expected to be completed in late spring 2015 and is being developed by Sawtooth Development Group of Ketchum, Idaho. Zapalac/Reed Construction of Austin is the general contractor. The North Florida-based university specializes in training graduate- and doctorate-level professionals in a variety of therapy disciplines, with three campuses in the U.S. The Austin location, which opened in 2012 and has 50 employees, will have approximately 400 students by the end of 2015 with plans to eventually grow to about 550 students. Wallace Pond, CEO of the university system, told Austin Business Journal in an interview Monday that he hopes to make the new center available to the general public for patients seeking physical or occupational therapy but officials still have to sort out health regulations and other details with the city of Austin before that can happen. He said the university's Austin students currently work with a variety of local health care providers to complete their clinical rotations and that the school is seeking partnerships with larger health care institutions as it expands in the next year. Pond declined to give the university's local revenue but said its economic activity for 2015, not including construction spending, would reach $5 million. Chad Swiatecki covers Austin's creative industries, health care and education. One Nineteen condos will feature high ceilings, large windows and polished concrete floors. Images courtesy of Sawtooth Development. One Nineteen will overlook the Boise Farmers Market with four stories of condos atop a two-story garage. One Nineteen subscribes to a new school of downtown condominium living, one where you can park your car, store your canoe and occupy square footage deemed large for suburban apartments. One Nineteen is the proposed condo project at Grove and 10th with the “coming soon” sign across from the Boise Farmers Market. Developer Shane Felker wants to throw the downtown condo stereotype on its ear. Downtown living in many cities is synonymous with tight square footage, no parking or certainly far less spaces than living units. Storage space isn’t guaranteed. But “you don’t have to sacrifice to live downtown,” Felker insisted. One Nineteen will deliver 10-foot ceilings (18 feet high on the penthouse level), floor-to-ceiling windows, open floor plans, polished concrete floors, “Euro-style hardwood cabinetry,” and contemporary fixtures, he said. The project will have two levels of parking and four levels of condos with 26 units in all. Each condo on a level will have a different floor plan, ranging from long and narrow to nearer a square. Floor plans for most condos fall between 1,176 and 1,504 square feet with prices running from $384,750 to $516,000, according to the One Nineteen website launched Nov. 11. The top floor penthouse has five condos closer to 2,000 square feet with price points either side of $800,000. The sales office will open on site, 119 S. 10th St., in January to accept non-binding reservations. “I believe we have the design, sizes and features that the public will be really excited about,” said Bryant Forrester, the Century 21 Magellan real estate agent representing One Nineteen. One Nineteen also catches the attention of Karen Sander, executive director of the Downtown Boise Association. One Nineteen is Felker’s first Boise project. Sawtooth built the University of St. Augustine for Health Sciences in Austin, Texas, and San Marcos, Calif., as well as other medical buildings, offices and single-family residences in the San Diego, Denver and Austin areas. Sawtooth developed the Strada Plaza in Ketchum. Felker plans to start construction on One Nineteen in January, with move- in dates eyeballed for the 2015 holiday season. One Nineteen is a joint venture between Sawtooth and Prospect Medical Solutions of San Diego. It did not start as a 26-unit urban modern condo project. John Alden building at 10th and Main and the parking lot behind it. He gained ownership at the start of this year. The developers shifted attention to the John Alden’s parking lot, where One Nineteen will arise. Once One Nineteen construction is well underway, Felker does plan to renovate John Alden starting in mid-2015. He anticipates street- level retail and three floors of offices. “Colliers is bringing folks to the table,” Felker said about the local commercial real estate firm, which has interested tenants. BOISE – There's a lot going on in downtown Boise right now. The building at 8th and Main just had its grand opening celebration. Meanwhile, at 10th and Main there are two new projects in the works. A developer has plans to bring more housing to downtown Boise, something that is increasing in demand. If you've driven past 10th and Main, you could have easily passed a building that sits on the corner. 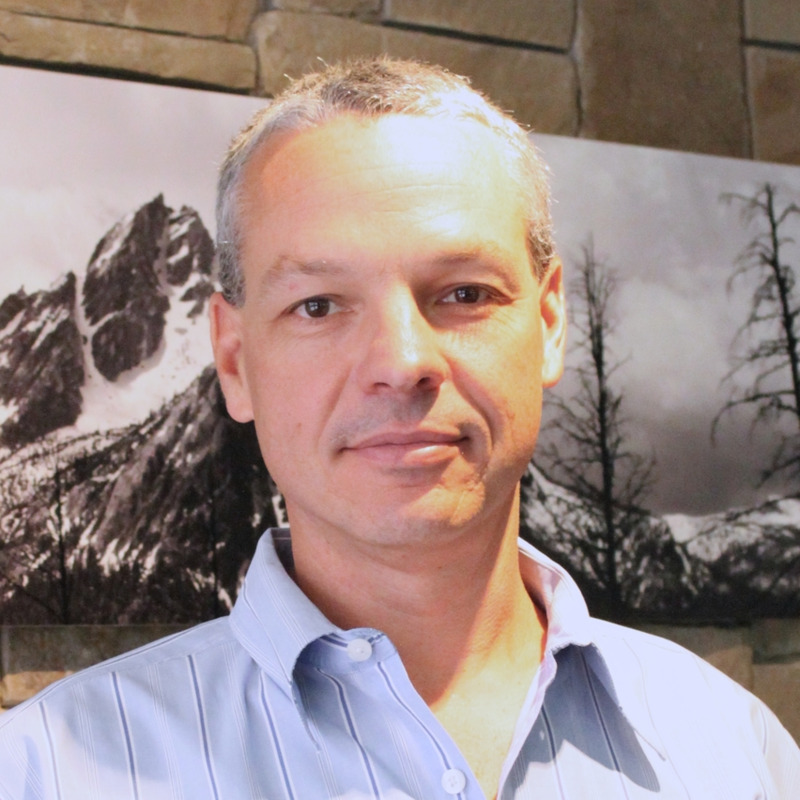 Shane Felker, is the president of Sawtooth Development Group. He wants to renovate the building because it's sat vacant for the past few years. "Some of the buildings along that block have just been neglected, but with so much exciting stuff that's happening just a block or two away, it's really time to start renovating and expand some of that downtown energy in that direction," said Felker. Felker says the plan is to add an anchor corner restaurant, retail space, office space and upwards of 14 apartments for rent. "There's going to be a tremendous demand for downtown residency, and there aren't options for people right now, so we're extremely excited to bring this to the market," said Felker. Then just to the south on the same block the plan is to replace the parking lot with 26 to 28 condos and private parking. "We're going to be the first product in downtown Boise that is really a contemporary urban loft design, and we're going to be able to do that and bring it at a price level that's going to function for the workforce downtown," said Felker. Karen Sander, Executive Director of the Downtown Boise Association, is excited about the momentum happening right now. "That one is exciting because it's mixed use and also adding additional housing to downtown Boise, so a building that's sat empty for a reasonable amount of time and now it's going to have a new life," said Sander. Add those projects to the JUMP Project, the 8th & Main Building, the renovations to the Owyhee Place, and as Sander says, Boise is in good shape. "Everywhere you look there's something happening," said Sander. Despite all of the good things happening in downtown Boise, there is some bad news, places like Cafe Ole have been forced to close its doors, but overall, more places are coming downtown than leaving. keeping these projects from happening. Construction should begin in 90 to 120 days, and last 10 months. The plan is to have both buildings finished by this time next year. The building at 10th and Main has been vacant for five years. Prior to that, it housed offices. Photo by Glenn Landberg. More than two dozen new condos are slated for construction in downtown Boise with the potential for more in an adjacent office building. The new housing units are planned for an 11,500-square-foot parking lot at 119 10th St. The six-story building will hold two and three- bedroom units. The building will also include two floors of private parking, said Bryant Forrester, president of the Urban Concepts Division of Homeland Realty. Bryant is marketing the development. CSHQA is designing the project. CSDI is the general contractor. Forrester said the building will fill two pressing needs downtown: housing and parking to go with it. “Parking is a huge amenity for downtown housing, and right now, there is a glaring shortage of any residential properties available in the downtown core,” Forrester said. Alden building at 10th and Main Street. Vacant for five years, the 43,000-square-foot office building and a basement with another 11,000 square feet once were home to a bank, the Boise Cascade company, and an insurance firm. The brick structure will contain street level retail and restaurant space. The top three floors will be converted into condos, said Colliers International Investment Broker Clay Anderson, who sold the property. “No one really took a serious look at a building with a housing component until now,” Anderson said. Greater access to construction loans and overall confidence in the building market have contributed to a renewed interest in downtown housing, Anderson said. “Construction was put on pause in Boise and other cities for so long, and now the energy is there, especially in downtown,” he said. Shane Felker and his business partner Clay Sammis of Sawtooth hope to break ground “as fast as possible” pending approval from Boise’s Design Review committee. The two have completed several other projects including student housing, single-family, and industrial condos in San Diego and Denver and Austin, and medical offices and other university projects, Felker said. Development costs for the Boise project are still being determined. Development at 10th and Main and at 119 10th Street, specifically the housing component, might not have been feasible three years ago, Felker said. But with the economic turnaround and low downtown residential vacancy, now seemed the right time to consider building. While some apartments are available for rent in downtown, there is a limited number of condos for sale, which is why the group opted to sell the units rather than rent them. Their selling price hasn’t been set, but Felker said they would be affordable to “downtown office workers’ or people wanting a second home in downtown. “With City Center Plaza and the workforce that will be here, workforce housing will be in more demand,” Felker said, referring to a large downtown development announced last month by the Gardner Company. The Capital City Development Corporation also announced in early February that six projects, five of them housing, were submitted for development consideration at the corner at 620 S. Ninth Street. CCDC hasn’t yet identified a developer for that project. “I think downtown vibrancy is a catalyst in itself, and we’re seeing it with all of the new commercial development in the downtown core,” Forrester said.